As a previous owner of a K1600GTL and a bagger rider at heart I am very interested in the new incarnation of the 6 cyl. BMW bagger. My dealer has just received one and I plan on looking at and test riding it next week. Has anyone else ridden one and if so what's your opinion? I rode one on Saturday. I never expected to like it as I don't consider "baggers" typically my style (currently ride an R1200RS). With that said, I immediately got off the bike, took a couple pics and texted my good riding buddy saying "I just test rode my next bike!!" It absolutely blew my mind...I literally had a grin from ear to ear the entire ride! Most comfortable and fun bike I have ever ridden! The engine is insane...sounds like a formula one car when you get up above 5000 rpms. At 5'10", it fit me like a glove...loved the forward floor boards. I'm sure guys that currently ride K1600's won't be as surprised as I was. In all honesty, having ridden and "demoed" many bikes, this is the only one that has ever had me thinking about something other than my RS. In fact, earlier that same day (Saturday), I rode a 2017 Harley Street Glide and 2018 Fat Bob. Hated the Fat Bob but thought the Street Glide was OK just not for me anytime soon...no power at all. Anyway, those are my thoughts....Good luck! I know it's a Bagger style bike and all. But. These manufactures should think outside the box. Option a good size passenger backrest at least. Or a small trunk. I like the style, comfort more than a GTL. But no accommodations for the wife. No deal. If they had some sort of platform as this. I'd be in line tomorrow. It's really nice. 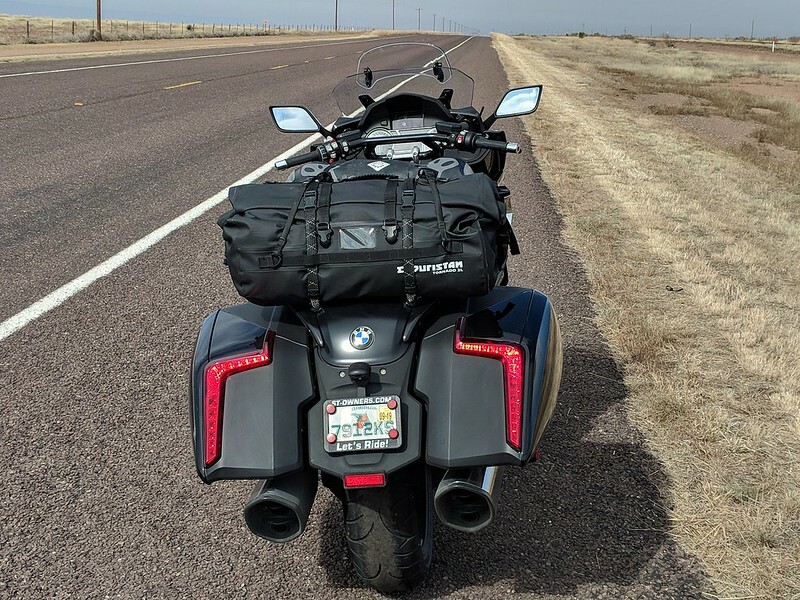 Even a street glide has a optional passenger Quick release trunk and backrest. These companies are so narrow minded. Got to give HD credit. They give customers options on the touring lineup. I picked up my K1600B on Saturday. It's a fantastic bike. I have owned the K1600GTL, R1200RT, and numerous Harley Road Glides. When I read about the Bagger, it seemed that it was the bike for me. Owning and riding it has proved that to be true. The ergonomics are excellent. Great position for the handlebars, the footboards offer the ability to change positions, it seems lighter than it actually is (I've used the reverse feature once; it seems easier to back up under foot power only), the seat height is perfect (I'm 5-11 and my feet are pretty much flat on the ground). The electronics are superb, although I didn't notice anything all that different from the GTL and RT that I owned before. Unfortunately, the BMW seat is not for me. It gets uncomfortable after about 1/2 hour. Changing position with the footboards helps a little. I will be ordering a Corbin saddle shortly. The ride is extremely smooth, and the engine is powerful. Shifting is pretty much effortless (I haven't tried the shift assist pro yet). It is a very handsome looking bike. The lines are sweeping and sleek. The black color and the blacked-out engine, wheels, etc., really set it apart. I know it's a Bagger style bike and all. But. These manufactures should think outside the box. Option a good size passenger backrest at least. Or a small trunk. There is a new Version that might fit your needs. I loved the looks on-line, at the dealer and at the moto-show. Feels lighter than it is! I just need to score a demo ride this spring. I have a trunkless K1200LT and was looking at the F6B and K1600B. I'm torn between a new Indian, a new Softail or another Beemer. I just wish the pillion was a little wider, for my duffle, not a passenger. Some kinda flat platform strapped to the grab handles might do it. Do a search for “strongback” - not sure if it’ll fit the bagger, but did the LT.
My bad - thought that wuz it. Shoulda mentioned BMR luggage rack. I’ll search for that and see what shows up. Found it in the HOW section. My dealer got 2 baggers in. The styling just wasn't for me. 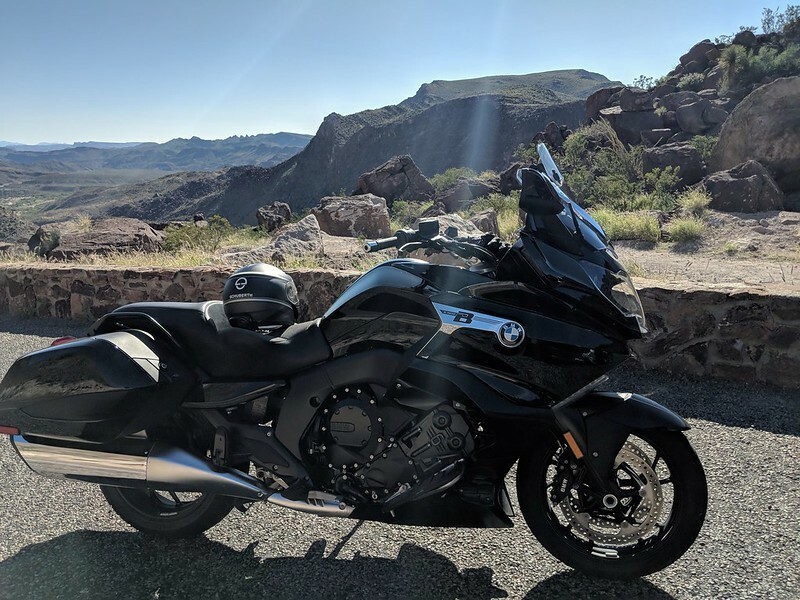 They had a couple of the 2018 1600 sport tourers in a greyish color...probably the most beautiful bike i've ever seen. I'm a bit off thread here...sorry. Took a nice long test ride yesterday on a B. (local dealer really really good to work with, San Diego BMW Motorcycles) It reminds me a lot of an LT. Lighter and better handling, of course stronger engine. If BMW had nailed the seating comfort of the LT, it would be awesome. 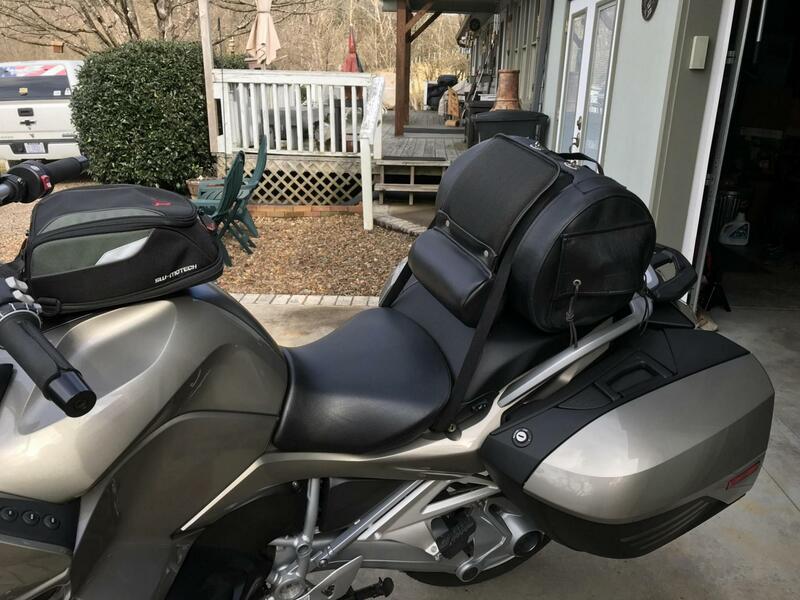 I think it'll work with some love from Russell, and figure out something for a passenger back rest. I've looked at the current offerings, closest I think is the RCU setup. Might make my own, we'll see....Pretty awesome bike, nice low CG. Does anyone own one of these yet? The reviews for the bike are all great. Looks like the seat height is almost 3 inches lower, sitting position more upright and with the tubular bars, highly adjustable arm positioning. The handling is reported to be typical BMW outstanding with no issues in the corners even for the aggressive rider. One guy reported it was like an RT on steroids - which I took to mean more power. Bought the GA and really do like it; not a bagger fan myself but this bike captured my attention! There is a new Version that might fit your needs. I loved the looks on-line, at the dealer and at the moto-show. Feels lighter than it is! I just need to score a demo ride this spring. I have a trunkless K1200LT and was looking at the F6B and K1600B. I'm torn between a new Indian, a new Softail or another Beemer. I just wish the pillion was a little wider, for my duffle, not a passenger. Some kinda flat platform strapped to the grab handles might do it. Hey Mark. 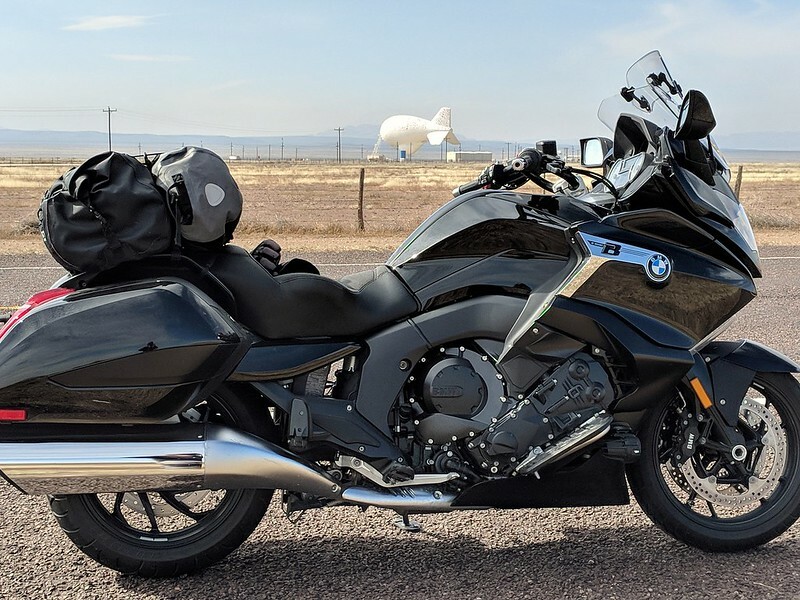 I recently came back to BMW (K1600BGA) after a brief experiment with Honda Goldwing. I went with the F6B (2013 & 2016) and enjoyed the attention I got with this bike but to be honest, was really missing the creature comforts that BMW offer...ie: heated grips, heated seat, Electric windscreen, etc. The ride was ruff to me and did not consider it a bike that I would ride long distance. After a few short miles on the Grand America, I knew this was the bike for me. I also owned a 2008 K1200LT that I owned from new, but it got to be to top heavy and more weight than I wanted to handle. I traded the 2016 F6B and the LT for the Grand America and although I haven't been able to get many mile on her yet, I feels like "Home"! Very nice. I finally got that demo on the K1600B. It's a great bike, better than my K1200LT. But, it wasn't soooo much better that it made me wanna trade up. So I did the 30,000 mi. on my bike and kept riding. But lately I'm lusting over a Harley Road King Police bike with that big tractor seat. 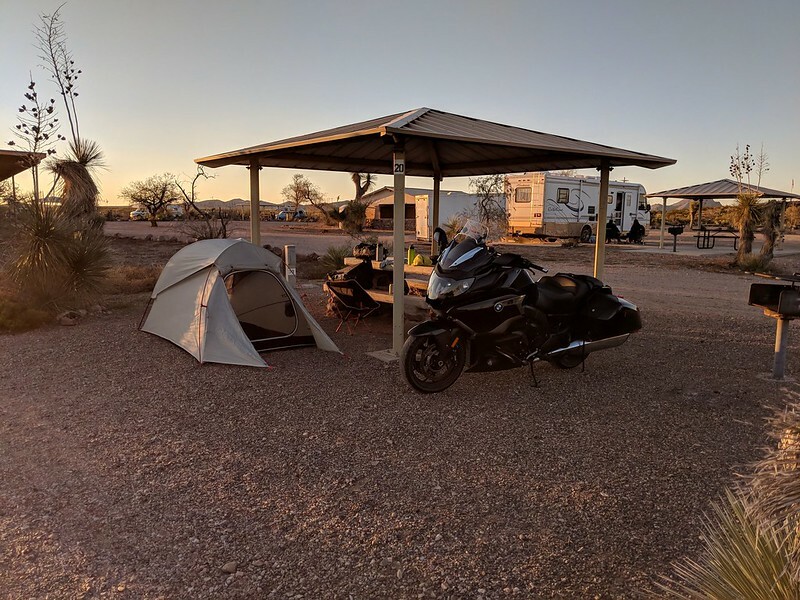 Just took 7,000 mile winter camping trip on mine Florida to California via Big Bend and back, most comfortable bike I've ever ridden - and I've put 110K miles on a K1200LT, and also own a R1200RT LC. Easily did 500 mile intervals/ refuels without leaving the seat and 800+ mile days. Last edited by TPadden; Dec 14th, 2018 at 12:34 am. I'm really thinking it (The 1600GA) might be the bike for me. It's a mix between the LT and my 1500 Intruder LC. I have to test ride one. I love that Damn LT for trips. God it's awesome. That fairing is the best for wind/weather protection. But it's getting older, as am i. And it is a beast. Wife absolutely loves the LT though, And would likely veto selling it. Strap one of these to the pass seat !